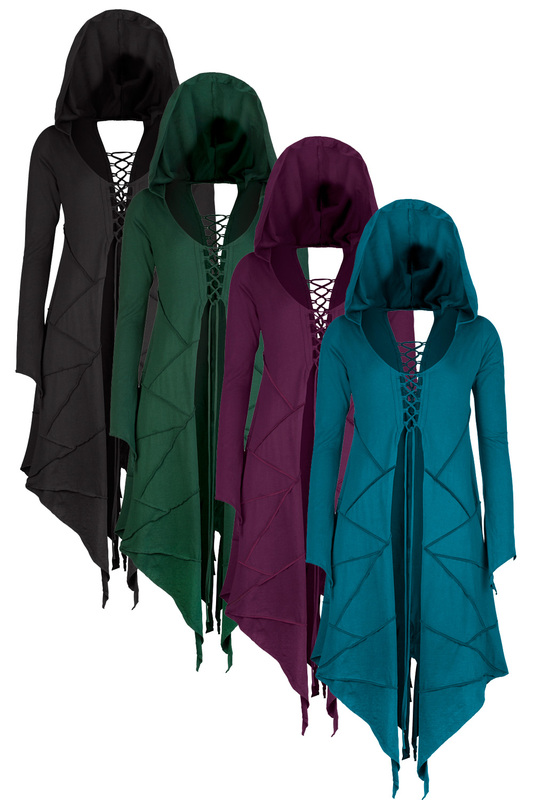 This witchy long pixie hooded top is extremely flatting, sleek and long-line with plenty of interesting over-stitched texture. It's made from lovely, stretchy, comfortable cotton, and the beautiful lacing at the front and back lets you create a brilliant fit. 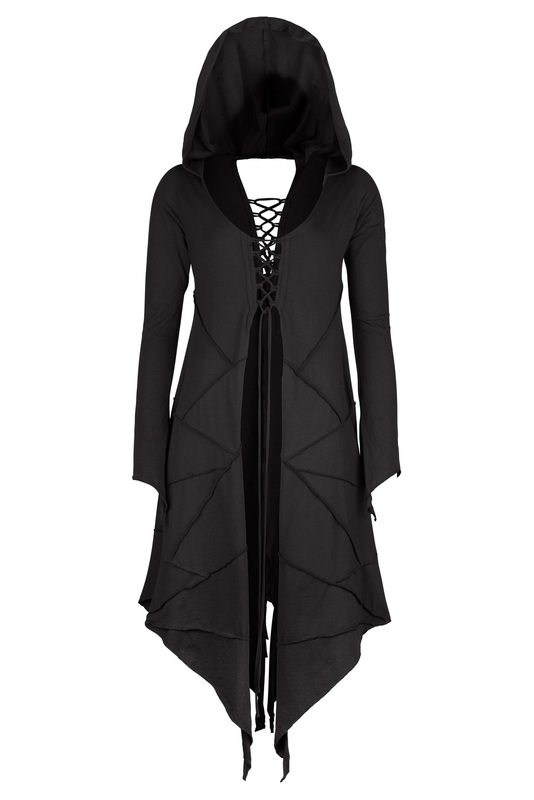 Our signature pixie pointy tails swish around your legs in and the round hood lends it a spooky sort of feel! Wear it over leggings or harem trousers, or team it with a sweet, short skirt for a feminine look.